In an effort to discuss the changing landscape surrounding bike share and alternative transportation in St. Louis, the St. Louis Higher Education Sustainability Consortium would like to invite all to a half-day workshop of speakers and demonstrations to learn more about existing and impending bike share programs. The workshop will be held on Wednesday, May 23, from 9 a.m. to 1 p.m. at Webster University's Emerson Library. 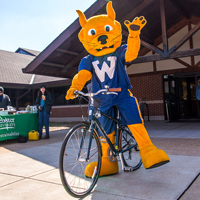 Attendees will have the opportunity to hear from local universities about their experiences with a variety of bike share programs, observe demonstrations from bike share companies, and participate in discussion regarding community concerns and opportunities surrounding bike share in the St. Louis region. RSVP and find more information on the event website.